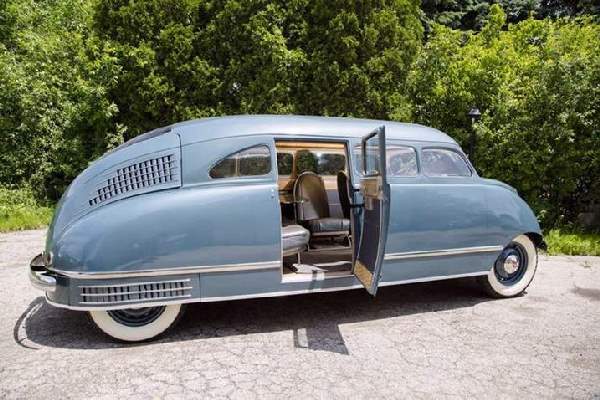 ShangralaFamilyFun.com - Shangrala's 1936 Stout Scarab! 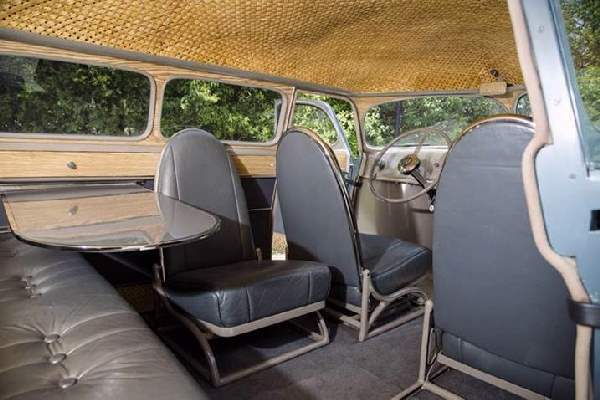 Introducing Possibly The First Minivan! 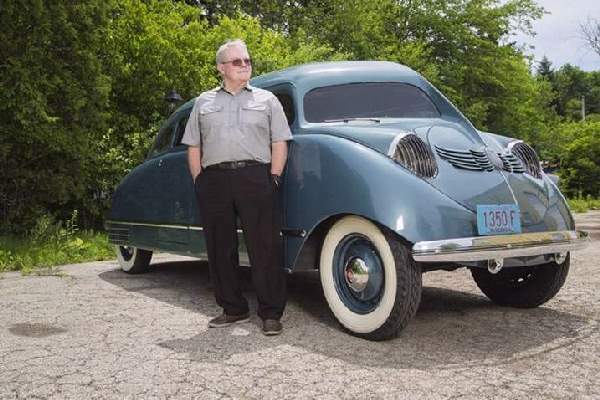 Ron Schneider of Milwaukee bought and restored a 1936 Stout Scarab. It is believed only a handful were made. 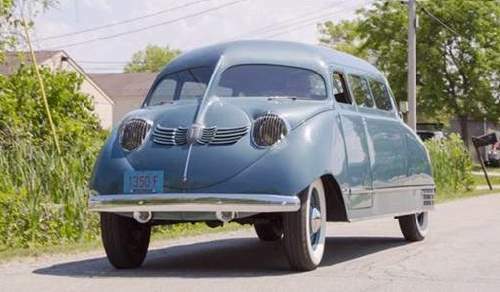 Many say that the car was ahead of its time and seems to be a minivan prototype. 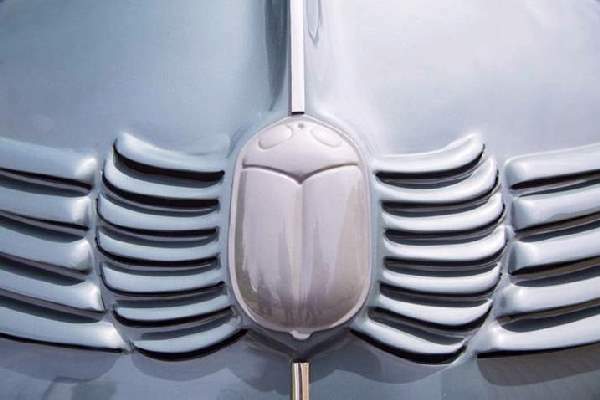 The Scarab's front end, designed with an apparent mustache in mind. 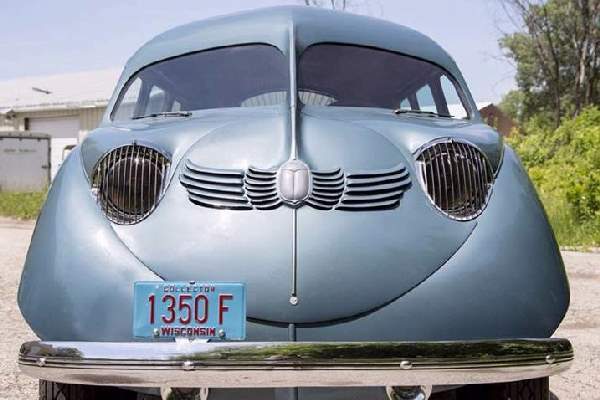 The car is the brainchild of inventor William B. Stout, who also dreamed up the first all-metal airplane and a folding house. Only nine Scarabs were built, historians believe. 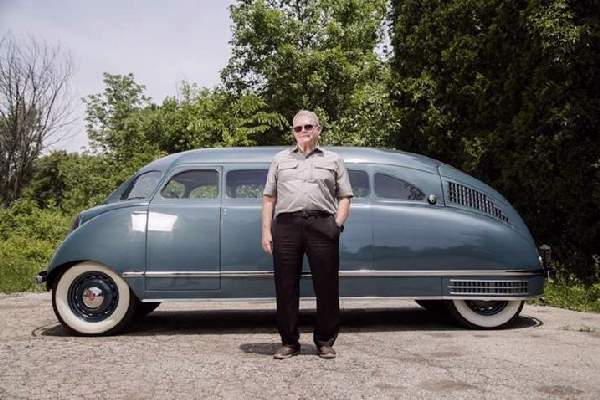 Mr. Schneider bought this one for $12,000, plus some more for another one that he used for parts for his restoration. 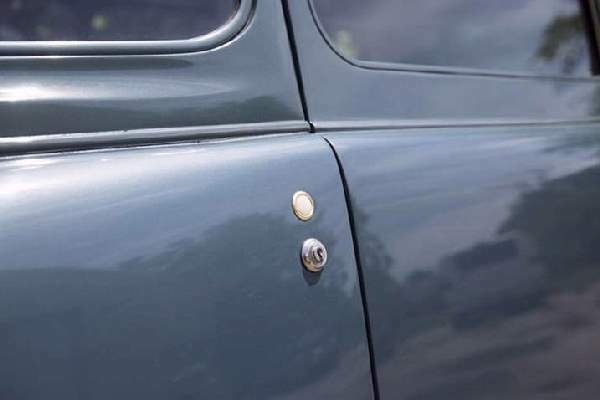 The inventor incorporated the fenders and flushed window glass into the body to make the machine streamlined and noiseless as it drove. 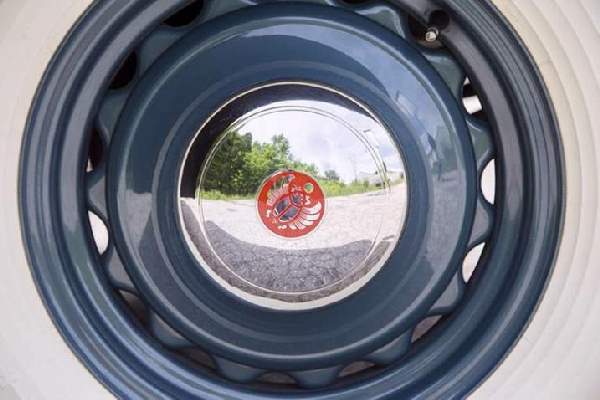 It also used lightweight materials for better efficiency. A look at the driver's seat. 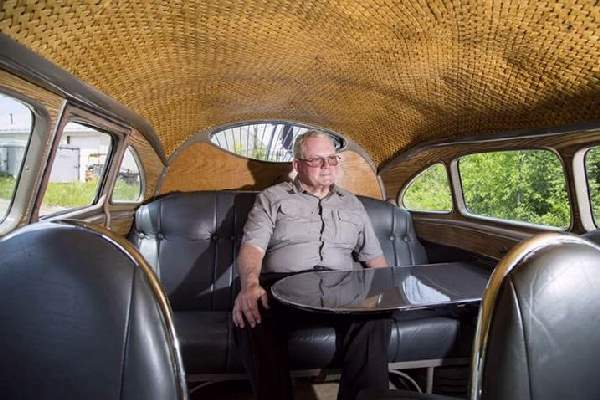 The car was a challenge to the automobile industry to build something different,' says Mr. Schneider. The inventor William Stout lived in the Detroit area and had many business dealings with Henry Ford. Thus some parts are Ford-derived. 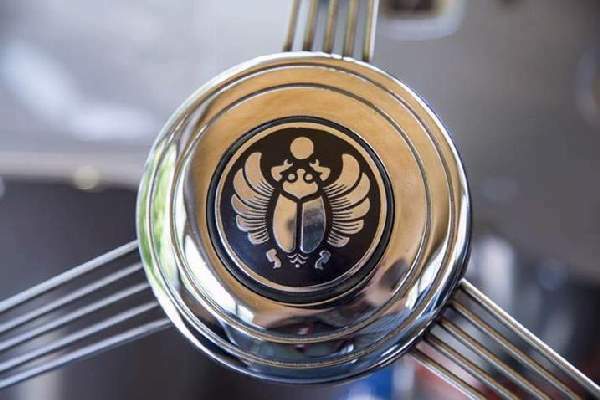 The logo on the Scarab's steering wheel. 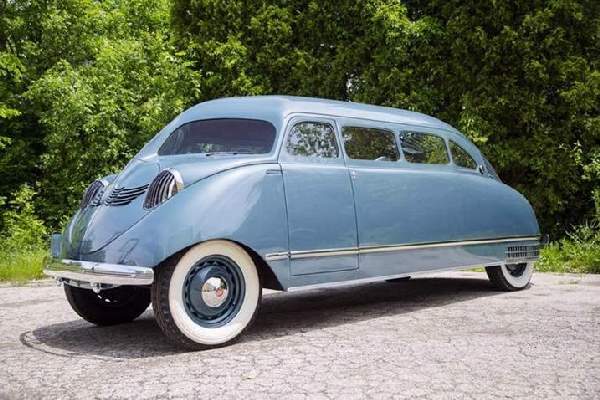 The car is named for the scarab beetle. His goal: to build a car of the future. It was no bigger than a normal car on the outside, with twice the room inside. It had a table, moving chairs, and three cigar lighters. 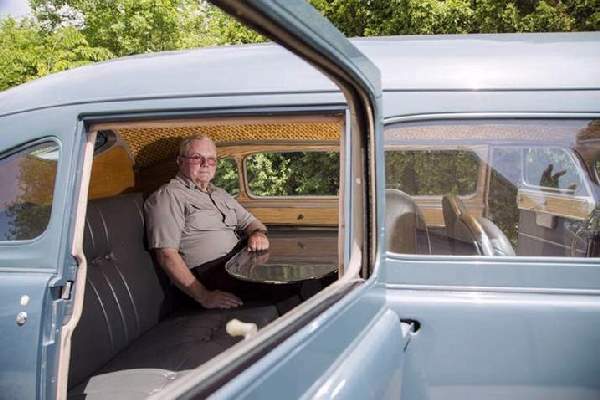 In retrospect, some say Stout built the first minivan. 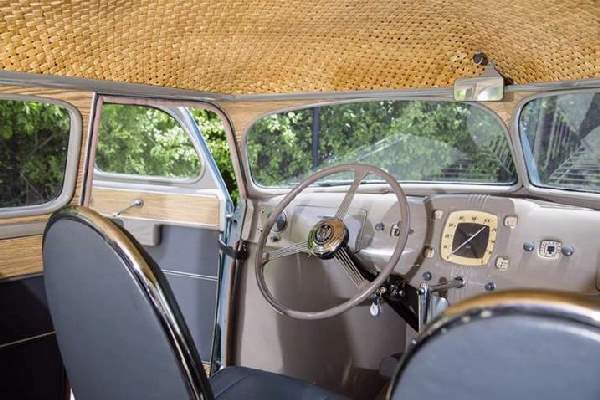 But the car, so radical and expensive for its time (about $5,000, which would be about $85,000 today), didn't catch on. 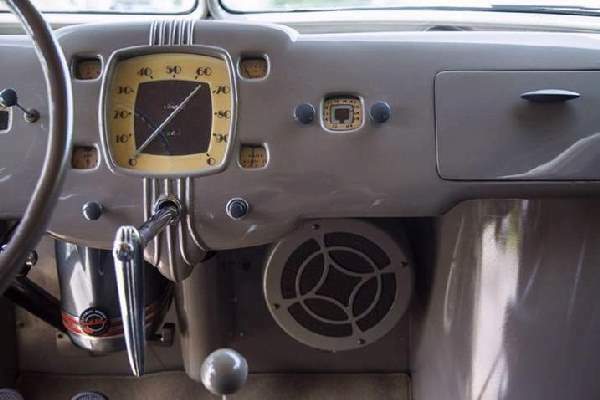 It had flush window glass and fenders incorporated into the body along with a push button for a door handle, so it would drive without wind noise. Some thought Stout was a crackpot, at first. But his ideas were more right than wrong. Special THANKS Goes To LINDA And PAT DE ESPOSITO For Sharing This With Us.